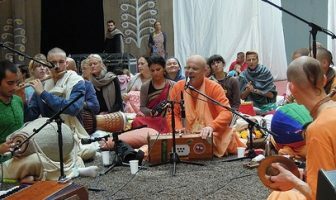 After the Kirtan Mela, Kadamba Kanana Maharaja attended the opening-ceremony of the new temple in Heidelberg, Germany. 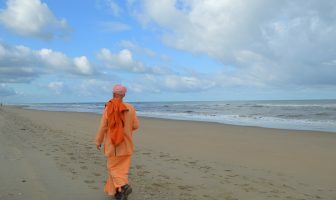 Thereafter, Maharaja travelled to Goloka Dham to celebrate the annual Janmastami festival and Srila Prabhupada’s Vyasa Puja. 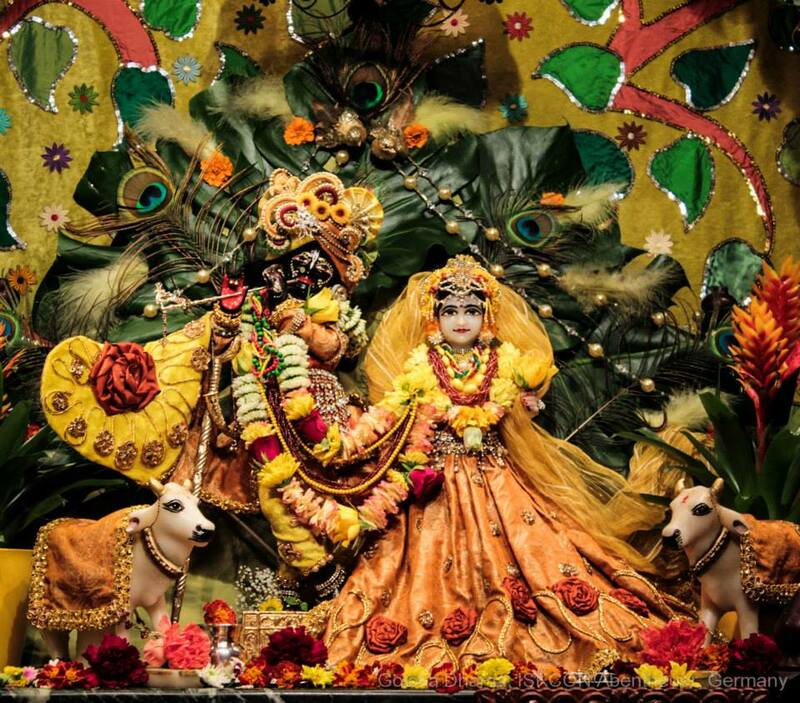 The presiding deities of Goloka Dham are Sri Sri Radha Madhan Mohan. This temple in Abentheur is situated in a green valley surrounded by hills and forest. 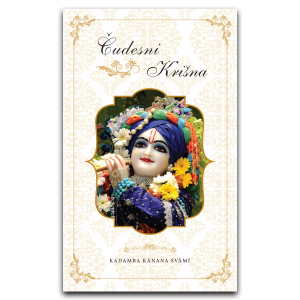 In 1969, the chota (small) deities of Radha Krsna were brought into Germany by Tamal Krsna Goswami on the order of Srila Prabhupada. 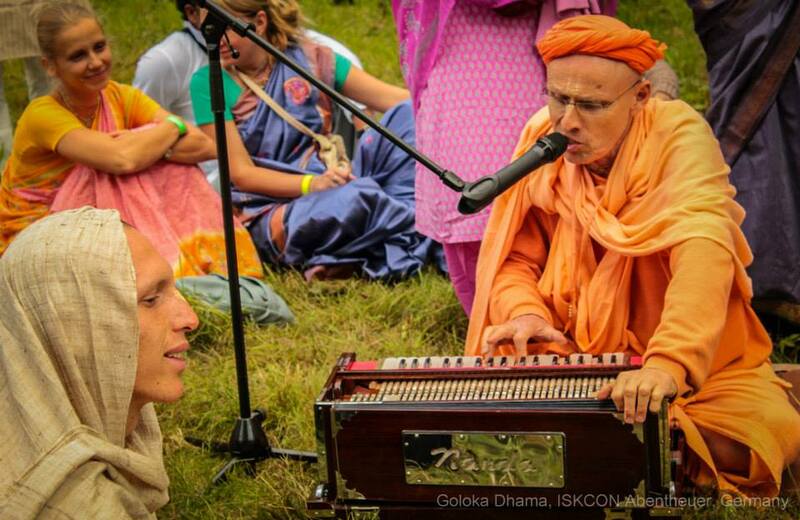 Sri Sri Radha Madan Mohan (big deities) came with Srila Prabhupada to Paris in 1972 and from there to Germany. The mood of the whole festival was about entering into Sri Vrindavan Dham. In keeping the theme of the festival, the local devotees decorated the land, temple and themselves very sweetly. Sounds of Vraja, like peacocks and monkeys, resounded through speakers. 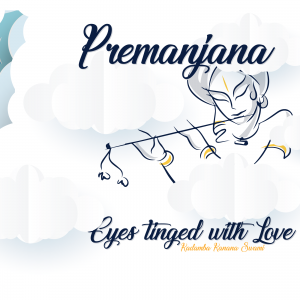 On Janmastami day, the chota deities of Sri Sri Radha Krsna were taken to different spots around the temple and for their pleasure, a boat festival on the local Yamuna River was celebrated. They were also placed on a swing and a Jhulan ceremony was observed. A play and small holi celebration ended the day‘s festivities. Representatives from the local newspaper attended the festival and wrote a very favourable article about it. Maharaja fasted through the whole day and enthralled us with deep Krsna Katha (pastimes of Krsna) and meditative bhajans. 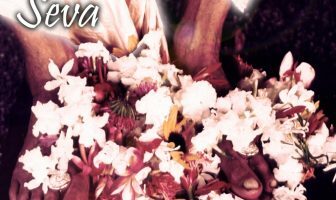 The next day, on the Vyasa Puja of Srila Prabhupada, Maharaja and several German disciples of Prabhupada shared some nectar of our Founder-Acharya by reading offerings to him. Despite the pain in his back, Maharaja spent a lot of time out of his room, “Im not the swami who hides behind his door!” He spent lots of time speaking to guests, friends and disciples. 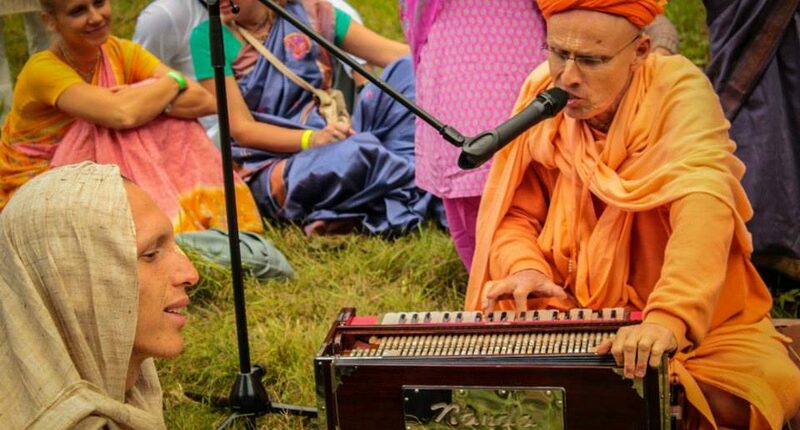 He also enlivened us with his ecstatic kirtans and inspired us through his classes. He gave us extraordinary insights into the life of Rupa & Sanatana Gosvami and the separation between Radharani, the gopis and Krsna in his two day seminar based on the scripture Sri Hamsaduta which was written by Rupa Gosvami. After a short visit to Radhadesh, Maharaja is now in South Africa for a three week visit. Photos of the festival are available below for download. If you cannot see the slide-show, then please visit flickr. Audio recordings will follow shortly.